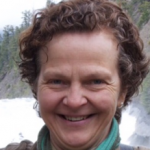 Hanne has been teaching yoga for over 10 years in Vancouver. Her philosophy is to create an environment that helps the individual replace temporary and superficial trends for more permanent and sustainable practices. Spirituality, awareness, self-acceptance, integrity are some of the values that she cherishes most. She brings a special versatility, dedication and challenging exploration of yoga/pilates to every class. You can expect Hanne’s class to be professional, dynamic and presented in a heartfelt, fun and supportive environment. Her focus is on alignment and therapeutics delivered in a thoughtful and thorough manner. In addition, she likes to use alternative compliments such as music, creative movement, capoeira and mindful practices to further enhance the practice. 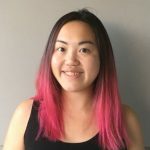 She values an interactive student-centered environment and strives to create an inspiring and uplifting practice that will take you from where you are to where you want to be. Loretta tried yoga for the first time during her second year of UBC many, many years ago. She can still distinctly remember how weird it felt moving in ways that were completely new to her. But she kept going back and the more she practiced, the more she felt both the physical and mental benefits – her back pain went away and she became a nicer person! After practicing yoga for over ten years, she finally took the leap and completed her teacher training. What was initially just meant to be a step in her own personal growth and development progressed into so much more. She realised that sharing yoga with other people brought her immense joy and she had to keep doing it. 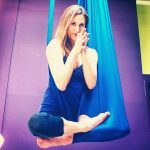 Her classes are uplifting – she strives to create a warm, welcoming space and encourages introspection and exploration. She also brings a genuine intention of making yoga accessible and fun. Whether it’s a slow, relaxing class or a fiery, powerful class, her hope is always that you will leave the class feeling better than when you came in. Meghan grew up playing competitive sports and only began practicing yoga six years ago. After attending hatha yoga classes for back pain she instantly recognized the many healing benefits yoga has to offer. In 2013 she earned her RYT 200 Yoga training through Semperviva, specializing in Hatha, Yin and Vinyasa. She creates a safe, non-competitive space for her students to dive beneath the surface of their daily lives to find deeper meaning and inspiration. Her classes offer creative sequences with breathing techniques, emphasizing the importance of proper alignments, mindfulness, and complete relaxation. She incorporates modifications and advanced options so that students of all levels can benefit from the class. She is beyond honored to teach yoga, helping to bring balance, awareness, health, and happiness to others in the community. Kylie started her practice of yoga back in her 20`s at the turn of century. With a dance background, she quickly discovered there is much more to yoga than the physical elements. She started her yoga teaching career with Kid’s Yoga which she fell in love with instantly. She knew this was her next journey and started all her trainings to become certified Vinyasa, Restorative and children`s yoga teacher. With 22 years teaching in studios from 3 year olds to adults, her classes are fun, upbeat and playful. Yoga is a practice that should be approached with joy, happiness and playfulness. In her spare time, Kylie can be found leading Kidding Around Yoga teacher trainings throughout BC. I delved into the world of yoga at a young age, as a self-taught practitioner doing poses in my living room. In April 2017, I decided to get certified at Om West Holistic Centre in Montreal, QC, and have been teaching happily since then. What I have learned by studying yoga is that you can never know everything about yoga. Since there is so much to the practice, I believe it is up to everyone to choose their own path and live their own versions of the yogi lifestyle. Aside from the physical benefits such as strength and flexibility, the biggest change yoga has brought into my life is a sense of connection. That’s why I try to make my classes and teaching style all about bringing people together, connecting to ones self, to the universe, to the earth and to each other. To feel a huge sense of love and community is what it’s all about! 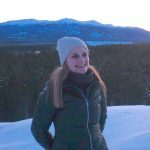 After first being introduced to yoga in 2005 through a high school fitness course, Janeen gradually began to integrate the practice as a way to manage the demands of being a busy student. 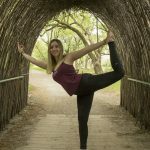 This continued in her first year at Western University when she joined the yoga club as a way to get involved, stay healthy and manage stress. Throughout her time in school, she took on leadership roles for the yoga club and volunteered at a local studio with the goal of supporting students’ mental and physical health. Post-graduation, Janeen was drawn to continue sharing the health benefits and transformative potential of yoga with those from all walks of life, going on to complete her 200-hour training in 2017. 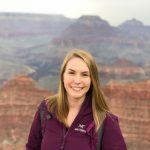 Ever since, she has been actively dedicated to her craft and connecting with each student who attends her classes. You can expect a safe, inclusive and empowering space that allows you to explore movements and postures which feel good for your body and soul. Classes are an invitation for students to fully immerse themselves in the moment – modification is always welcome for the individual needs of each person. Janeen’s classes are consistent to build a strong foundation, with new movements mixed in to keep the theme of exploration fresh. Students cannot get enough of her calm, empathetic spirit, and the raw energy she brings to class. Outside of the studio, you can find Janeen tending to her many plants, traveling the world, and studying Psychology right here at UBC. Amanda was first introduced to Yoga when she lived in Montreal, Quebec. While teaching Recreational Gymnastics to children, she was asked if she also teaches Yoga. She was told that her warm up was very similar to a yogic practice. Never having done Yoga before, it was time to try. Since her very first Yoga class, she knew she wanted to be a Yoga Teacher. Her love for the practice grew; leading her to Vancouver to complete her Yoga Teacher Training. In 2015, she graduated from the Vancouver School of Yoga. She soon continued her training and received a Prenatal Teacher certificate. Amanda believes in the positive impacts yoga brings out in people. She also believes every person is uniquely different. With that into consideration, she kept exploring the many benefits of yoga and how it varies from one person to another. She soon extended her knowledge and became a Yoga Therapist. Amanda patiently takes the time to adapt all yoga postures as necessary to enhance the experience of the yoga practice for each one of her students. Her teachings focus around breath and body awareness, balancing and self-care. Her peaceful and playful presence will allow you to be guided into relaxation, to release any stress and refresh. Kelly McCann brings over 15 years of combined experience in dance and yoga. She holds a Master of Fine Arts Degree, specializing in contemporary dance performance and choreography, and a Bachelor of Arts Degree, in ballet/kinesiology, both from the University of Calgary. Kelly holds a RYS 200-Hour Yoga Certification, and a ACE (American Council of Exercise) Certification in Group Fitness. 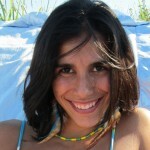 She is a registered Yoga Fitness Leader and Fitness Theory Leader for the BCRPA. For Kelly, movement has proven to be an invaluable teacher when trying to understand the human body and own self. She has a deep and intimate relationship with the body in movement, as it always has a been an instrumental part of her life growing up. Kelly values the ideas that when we FEEL the body in motion, we can then begin to extend ourselves beyond those physical benefits of exercise and experience an absolute expression of your own true self. Jill has been teaching group fitness classes since 2010 and teaches many different styles of classes from Pilates and Yoga to Athletic Interval Training and HIIT. Her fun and dynamic classes focus on optimal posture and alignment. Jill is a Balanced Body certified Pilates mat instructor, and a BCRPA certified Group Fitness, Yoga Fitness, Weight Training, and Third Age fitness instructor. Nicky discovered yoga just over six year ago, during a busy year of studying and working. She found that yoga helped to shift her perspective and stay calm during a stressful time. It wasn’t long before she was hooked. Over these years Nicky benefitted from the practice in many ways and felt the need to further her knowledge and understanding of yoga. 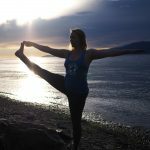 She enrolled in the 200 hour Hatha teaching training at Semperviva in 2017 and began teaching as soon as she graduated. Now embarking on her second year of teaching, Nicky strives to create a safe, fun and welcoming environment in her all-levels classes. Sandra loves the freedom offered by yoga and has been practicing for over 20 years. She has a profound feeling of gratefulness towards her teachers, who have helped her build this path. These teachers taught her how to develop her own self-practice and teach it to others. 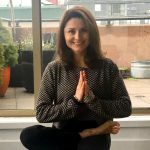 Sandra moved on from the traditional Hatha practices to discovering the benefits of different yoga styles, integrating learnings from Vipassana meditation retreats, teacher trainings, and workshops, with many influences in the Ashtanga and Iyengar styles. The study of how the physical body works has been central to her formal education, from her background as a dentist and her knowledge of anatomy she explores body mechanics. The further Sandra studied the rest of our being, the more she developed an understanding of how the mind works, especially how to manage fear, anxiety, and overcoming trauma through yoga. Sandra encourages her students to practice with the sound of their own breathing and listening their body, how it opens, contracts, releases and how conscious adjustment can align the asana and the experience is transformed. This path has taken her to many places around the world, including retreats in Spain, Turkey, Germany, Colombia, and immersions in Rishikesh, India to Hawaii. 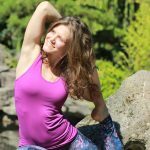 20 years since she discovered yoga, Sandra is now based in Vancouver where she continues practicing, learning, and teaching this unique and mind-opening discipline. I stumbled on my first yoga class 12 years ago when I was late for my dance class. I decided to try it and was instantly hooked. I had the best night’s sleep in a long time. I was leading a stressful lifestyle as a realtor working 12-hour days with late night business dinners. I was fueled by a smoking and coffee addiction. It seemed glamorous from the outside and it was what I thought I wanted. But I knew something had to change. The thing is I didn’t know how to go about it. Feeling lost, I took my first trip to the bottom of the Himalayas and completed my first 200 Yoga Teacher Training (YTT) hours in traditional Hatha yoga. I came back to Dubai only to find out my whole life was going to change – I lost both my partner and my father. I felt overwhelmed and battled physical weakness and depression. I got sick and couldn’t train. Doing what I knew best I decided to fight back. But I had to figure out how to fight life when I was depressed and physically challenged. I knew it would require a different approach. I questioned if I could fight by surrendering, by accepting. I turned to the mat to stay sane. I delved deeper into the yogic tradition, its spirituality and philosophy. What started as a physical practice turned into a journey of self discovery. I learned to accept myself and practice self love. Like a baby learning to crawl again, I learned to listen to my body, to trust the process and connect. A few years later, I decided to continue practicing and studying in India and the United States. I finished another 300 hours of YTT followed by different training programs and workshops in Vinyasa, Yin, anatomy, alignment and energy healing. Seeing a lot of people go through a similar journey silently, I finally took a leap of faith and decided to share what I’ve learned along the way. I want those who feel vulnerable to feel safe and free from judgement – to believe they have the courage to take that first step. I am passionate about helping others progress in their journey of self mastery and inner strength; helping you listen and connect to your body’s wisdom. Breath by breath we will align our thoughts and feelings in movement. It’s a dance that’s in rhythm with your inner power and in line with your true purpose. We all have the ability to go on this journey of self-discovery. So whether you’re a beginner, returning after an injury or are an experienced yogi, you can expect to be challenged, energized and gain insight in a way you didn’t think you could.